The American family sedan has been the staple of U.S. auto sales for the better part of a century. But now it's turning into an endangered species. Long before the terms minivan, SUV and crossover even existed, the sedan, with its four doors, reasonably sized back seat and ample trunk space, was a fixture in American garages. "It really was the family-mobile, a dominant segment for quite some time," said Jeff Schuster, analyst for LMC Automotive. "But it's been under pressure for quite sometime, and we seem to have reached a tipping point." The latest sign of the shift came last week, when Ford (F) announced it would reallocate $7 billion of research and development funds from cars to SUVs and trucks. It also said it would drop some car models in the years ahead. As Ford trims its car lineup "we're shifting from cars to utilities," said James Farley, president of global markets for Ford at an investor's conference Tuesday. Ford's SUV sales are expected to more than double worldwide, mostly at the expense of car sales, which have fallen. It's not just Ford. 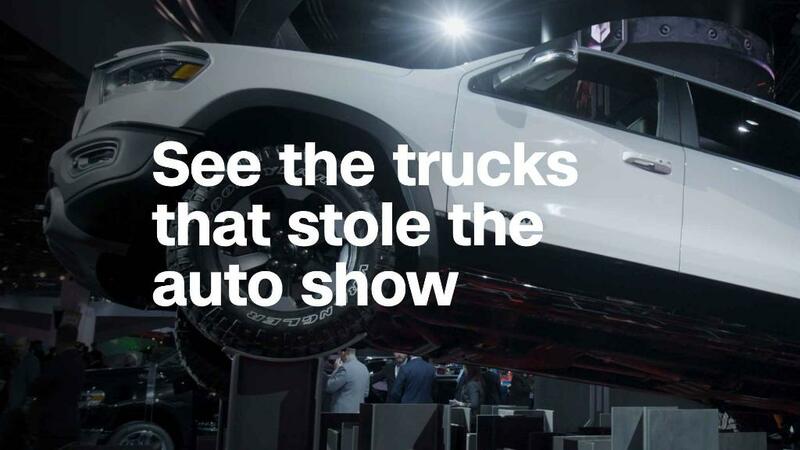 All three Detroit automakers have made it clear that they're going all in on SUVs and trucks. Fiat Chrysler (FCAU) already dropped out of some of its key sedan segments, such as the Dodge Dart and Chrysler 200, more than a year ago. And General Motors (GM) has pulled back on the production of car models such as the Chevy Cruze and Impala, the Buick LaCrosse and the Cadillac ATS and CTS over the course of the last year. The automaker eliminated shifts at factories where those cars are built and laid off the workers that made them. GM's car sales in the U.S. plunged 20% in 2017. "It's not that automakers can't make money on sedans," said Schuster. "But if consumers want something that produces better margins, that's where the focus is going to be." Sedans aren't disappearing entirely. Instead, Detroit is ceding the sedan market to Asian-based automakers such as the Toyota (TM), which makes the best-selling midsize sedan, the Camry, and Honda (HMC), which makes the popular Accord. The three major Detroit automakers just aren't that interested in the sedan any longer. "I think the Detroit automakers are willing to let that part of the business go. Even if they keep making some sedans, they're essentially willing to concede it to the Japanese and Koreans," said Schuster. SUVs overtook sedans in sales in 2015, according to data from IHS Markit. Improvements in engineering have largely done away with what used to be the downsides of driving an SUV, giving most of them a car-like driving feel and better fuel economy. SUVs now have mileage as good as that of the sedans that buyers are trading in with "more space, styling and ride height that seems to appeal to most people these days," said Jeremy Acevedo of Edmunds.com. "It's a package of all of the good and none of the bad." Another factor in the pullback on sedans is the growing need for companies to invest in new technologies such as electric cars and self-driving vehicles. "The need to invest in autonomous and electric vehicles did not exist 10 years ago," said Tom Libby, senior analyst with IHS Markit. Libby said he doesn't think that Ford and GM are prepared to exit the segment completely. But experts agree sedans will get less and less attention and investment from the Detroit automakers. That will only make them less competitive with foreign sedan models in the future, which will mean less demand, which will in turn lead to less plant capacity. The pull back from the sedan by Ford, General Motor (GM)and Fiat Chrysler (FCAU) is only likely to accelerate in coming years said Rebecca Lindland, executive analyst with Kelley Blue Book. "There's no indication that the sedan will be revitalized because there's no indication we're going to shift back to sedans," she said. "The U.S. automakers are shifting investment where it needs to go."